HDD or SDD? This is a question that just a few of us considered a couple of years ago. However, lately, the storage unit battle has borne witness to what has become a tough competition. Do you have no idea what the differences between both types are? Or, do you not know what the pros and cons of each modality are? In this article, we will see broadly, and in simple terms, the main features of both units. Shall we get started? HDD or SDD? What are we talking about? When we mention HDD or SDD, you probably already know by now that we are dealing with two different types of data storage unit. However, there is no harm in knowing what each one of them consists of, even if it is just a general overview. The Hard Disk Drive (HDD) is a hardware component whose mission is storing data and, unlike the RAM memory, it does not loose said information when the computer is turned off. One of the main features of this type of hard drive is that it is made up of mechanical components. Basically, it contains one or several hard disks that rotate at high speed (that means thousands of RPM) around an axis, inside a box. On each disk, there is a head that reads or writes data magnetically on each side. The Solid State Drive (SSD) is also a component used to store data, but its design has nothing to do with the structure of the HDD. The SDD stores data in microchips that contain flash memories, which are interconnected. Therefore, they have their own microprocessor (called “driver”) that is responsible for data reading and writing tasks. When it comes to choosing between two different types of device or component, like choosing between HDD or SDD, you always have to think carefully about the following question: what am I going to use it for? And this case is not an exception. Do you need speed? Do you need a large capacity storage device? Or are you interested in a long-lasting storage unit at a reasonable price? Before choosing either type, you should have the answer to those questions. Regarding the price, there is no question that the HDD wins this battle. Since SDD units are considered innovative technology, their price is usually higher. However, as it is often the case lately, when new technologies have been launched, their price range has decreased, so the SDD units tend to be more affordable now. As it happened before, regarding the price, the HDD unit also beats the SDD here. Within a similar price range, HDD units tend to offer substantially higher storage capacities than those offered by SDD units. HDD scores again. Here, however, SDDs win the game, since they can reach speeds that triple those of the HDD (or surpass them even more), which is especially noticeable at the operating system startup and program execution. There are also remarkable differences in this area. One of the features of flash memories, that serve as a basis for the SDD, is that you can write on them only a certain amount of times. Hence, it is most likely that the HDD’s durability may be higher than that of an SDD. Furthermore, you should take into account that the SDD may start to lose stored information if you do not use it for a certain amount of time, so you must be especially careful in regard to this issue. However, there is another aspect related to the lifespan of the SDD that you must take into account: their resistance to impacts is higher than the HDD’s. But, that does not mean you should use them to drive nails, of course. Going back to the topic at hand, what you are going to use your computer for. If what you want is a higher storage capacity at an affordable price, acquiring an HDD may be more convenient, while if what you are looking for is higher speed, an SDD might be the best option. 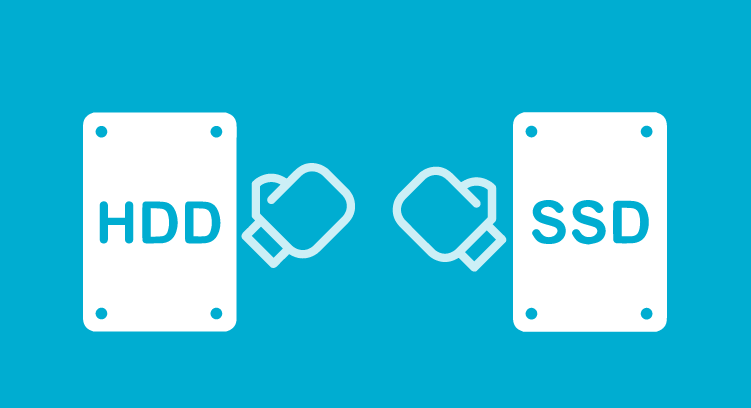 In any case, chosing between HDD or SDD is up to you! And remember that you can also choose both options. For example, you can install the operating system in an SDD and use an HDD as an additional storage unit. Of course, in case you choose that option, firstly, you must make sure your computer allows you to install two storage units. And in addition, you have to bear in mind that you will have to pay twice. So far, we have seen some of the advantages and disadvantages offered by HDD and SDD, but remember that what we have just discussed here are general tendencies. The final performance of the type of disc you choose will eventually depend on other aspects, such as the brand you choose, the price, the range it belongs to, etc. Is it hard to decide? That is completely understandable. Choosing is not always easy. But it is really helpful to know the different options available. For example, you might also need a good remote desktop software. Or maybe you even do not know what that is, but you want to know more about it. What if you take a few minutes to learn about eHorus? Ehorus is a remote computer management system (remote desktop software), that can be helpful to carry out many different tasks.